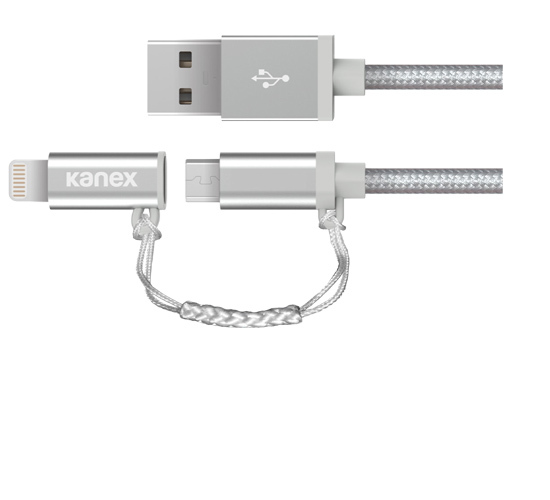 The Premium Duo Micro USB + Lightning Connector to ChargeSync USB Cable allows you to charge a Lightning enabled device or a Micro USB device with one cable. 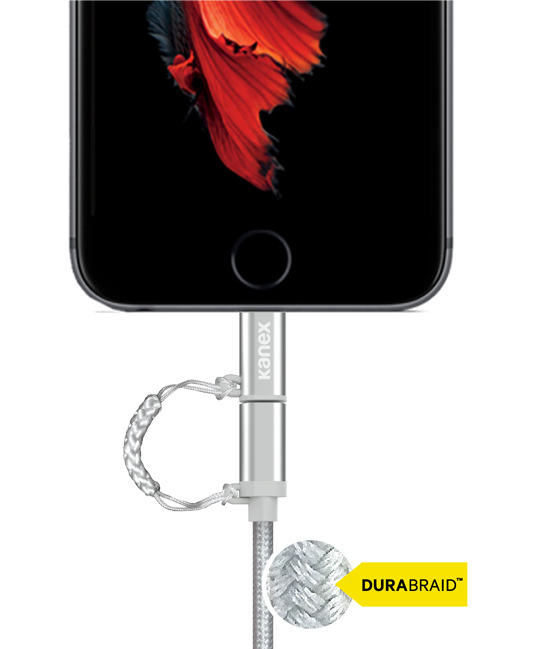 The Premium Duo Micro USB + Lightning Connector to ChargeSync USB Cable is covered in a braided-nylon fiber jacket which adds flexibility and durability to your daily charging and syncing. The Lightning, Micro and USB tips are encased in an anodized aluminum shell which is both durable and more elegant than traditional plastic tips. Eliminate the need to carry multiple cables for charging and syncing your devices. Charge and sync your iPhone®, iPod® or iPad® and with a quick switch, charge and sync any Micro USB enabled smartphone or tablet with the same cable. With MiColor™, make it your own. “Made for iPod,” “Made for iPhone,” and “Made for iPad,” mean that an electronic accessory has been designed to connect specifically to iPod, iPhone, or iPad, respectively, and has been certified by the developer to meet Apple performance standards.